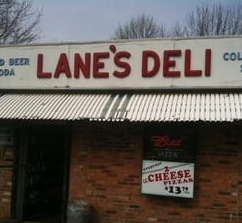 If you’re a customer of Lane Deli in Stony Point and you bought a Take 5 lotto ticket on Saturday, April 8, make sure you checked those numbers! The New York Lottery announced that one of the three top-prize winning tickets for the April 8 drawing was sold at Lane Deli, located on Washburns Lane in Stony Point. The prize is a cool $22,591.50. The winning numbers for the drawing were: 06 – 08 – 09 – 11 – 12. The five numbers for Take 5 are drawn from a field of 39. Take 5 drawings take place every day at 11:21 p.m.